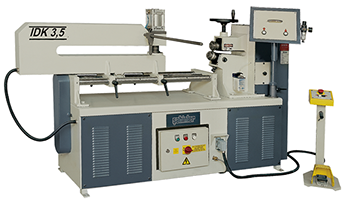 Machine Dimensions 79" x 24" x 56"
Many specifications can be modified on request; additional cost may apply. All data is approximate, and data and design are subject to correction or change without prior notice. COLE-TUVE Inc. specializes in Metal Fabricating Machines. Our professional sales team has many years of experience helping people find the right machine at the right price!